REPOSTING this article by popular request. Enjoy! Our theme for March is “Coming Home to Ourselves.” Coincidentally, we just facilitated our retreat of the same name. So, what does it mean to come home to oneself? 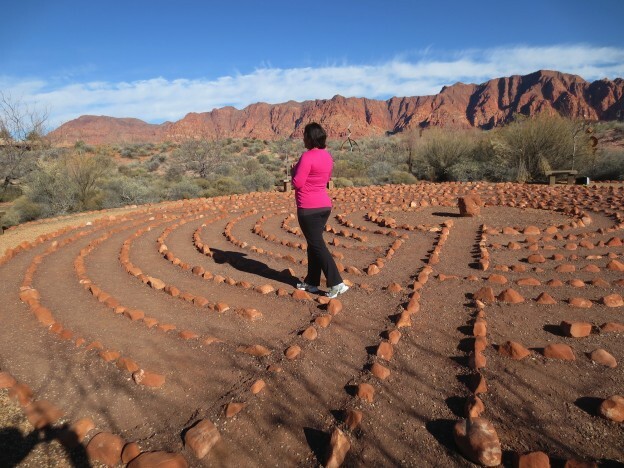 Well, on our retreats we always walk a labyrinth in a contemplative manner. As we enter the labyrinth, we shed all of our outer busy lives, as a snake sheds its skin. There are many twists and turns in a labyrinth, just as there are many twists and turns in life. At times we may feel that we’re almost there, only to find ourselves far away from where we expected to be. Such is life. The place in the center holds the treasure. The place in the center is home. We wander and wander, we seek and we contemplate, and then suddenly we’re there. Home.